If you're not completely satisfied, return for a full refund. GREAT EXTRAS FOR A PENNY! 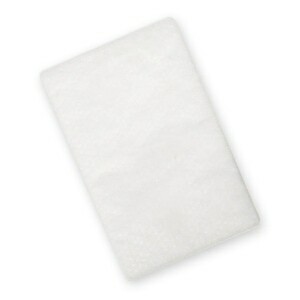 Add CPAP Mask Wipes or another great gift for a Penny. EASY FINANCING: BUY NOW, PAY LATER! Earn 98 points to spend on future purchases. Click here to view parts compatible with this item. 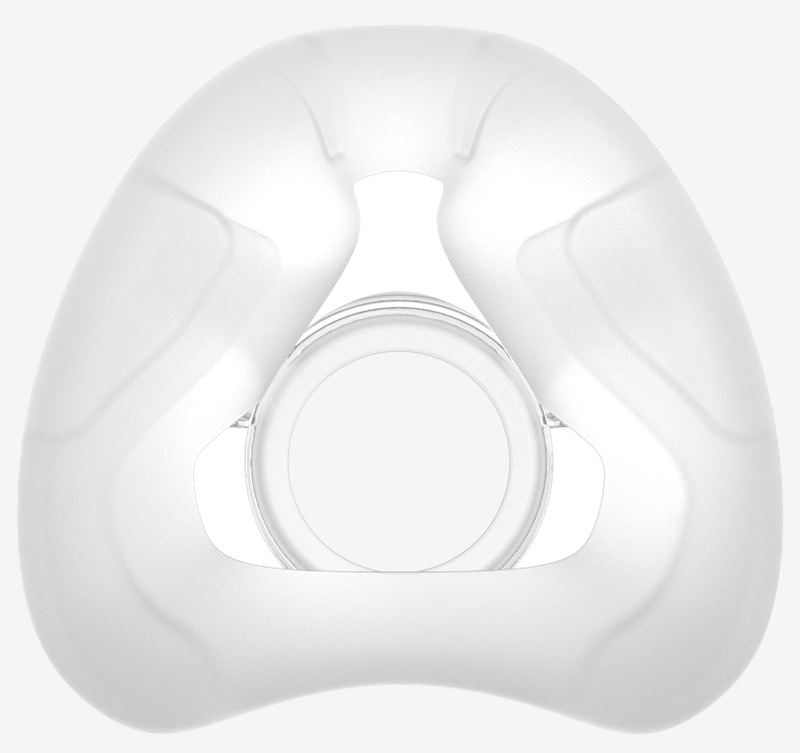 AirFit's advanced InfinitySeal nasal cushion features specially-designed "infinity" loops with variable thickness levels to reduce blowout, provide support at the sides of the nose, and relieve pressure at the nasal bridge. InfinitySeal's soft, frosted surfaces feel natural on the skin and maintain a secure seal even at the highest CPAP or BiLevel pressures. AirFit N20 For Her Mask include a Small cushion however Medium and Large cushions are available separately for a more custom fit. AirFit N20 For Her's frame flexes naturally to a custom fit on your face. With only minimal skin contact the AirFit N20 For Her provides a stable fit and an open field of view. 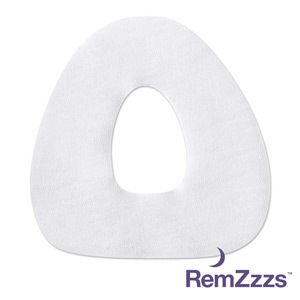 Integrated padding within the frame adds softness so you can read, watch TV and enjoy your evening routine without worrying about pinching, red marks, or pressure from your CPAP mask. PLUSH HEADGEAR WITH MAGNETIC CLIPS! Plush N20 For Her Headgear is engineered for extra softness and stability. The rolled-edge fabric straps should be worn loosely to allow the InfinitySeal cushion to adapt to your personal facial contours. Ingenious magnetic clips, on the lower straps, guide the headgear into the mask frame so it is quick and easy to put on and take off with a simple twist. AirFit N20 For Her masks come with Small Headgear. 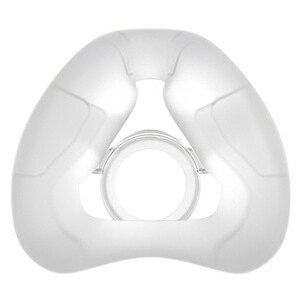 The AirFit N20 For Her CPAP mask features a quick release elbow with squeeze-tabs so it's easy to detach with one hand if you need to get up during the night. The elbow rotates 360° and includes an independent tube swivel to reduce tubing pull and drag. Diffused venting, built into the elbow, delivers an ultra quiet performance. Air is dispersed gently away from the user and bed partners so everyone can enjoy a quiet, comfortable night sleep. The AirFit N10 For Her includes an integrated, lightweight Flexi-Tube short tube that extends off of the mask frame, stretching and bending to increase flexibility while maintaining seal and stability. 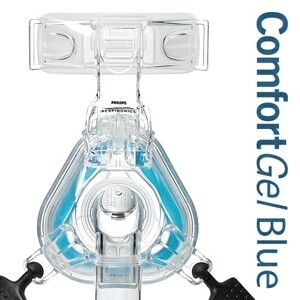 The Flexi-Tube is designed to accommodate a wide range of sleeping positions comfortably without mask drag or catching. 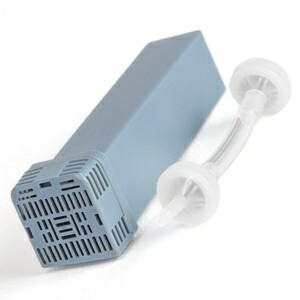 In the Package AirFit N20 For Her Nasal CPAP & BiLevel Mask with Headgear. Intended Use The AirFit N20 channels airflow non-invasively to a patient from a positive airway pressure (PAP) device such as a continuous positive airway pressure (CPAP) or bilevel device. I had to exchange it for the medium N20. The N20 For Her is only available in a small size and that was too tight a fit for me. But I liked it enough to return it for the medium size version of the regular N20. Best mask I have ever owned in 21 years of cpap therapy. It would be perfect if the headgear was a bit more adjustable,just a little tight for a petite woman. This is similar to wisp mask in design but on big plus side as it is not causing nose irritation (dents) and it stays put with no slippage during use so no constant fixing in the night. I started Apap therapy 18 months ago and ive tried at least 25 nasal masks. I had a terrible DME. Im one of those hard to fit people. I need an extra small headgear with a small nasal piece. This mask is comfy. I have no leaks. My AHI is lower and a major plus I sleep 8 hrs and don't wake up adjusting the mask. I will use this mask until Resmed comes out with one even better. Its worth the money.